Decorating christmas tree at home. 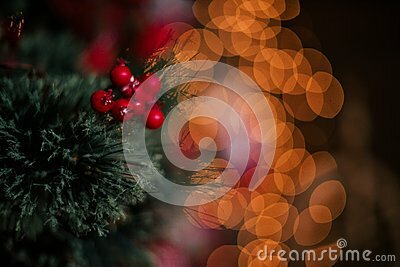 Ornament close up on background of christmas tree with colorful lights and toys, copy space for text. decorating the Christmas tree for the New Year together in & x28;Thailand& x29;. Close-up of multicolored Christmas beads for decorating the Christmas tree with a soft blurred background. Fashionable young woman in festive dress lays out gifts under the Christmas tree in the living room, enjoying Christmas. Line of empty winter park bench in sunny day. Concept of relax, comfort, park decorating, frosty weather, beautiful landscape.